White came through with a 10-5 victory against European Under-21 finalist Ross Bulman to continue his quest for a return to the Crucible. Today’s match was a landmark 102nd for the Whirlwind in the World Championship. He has now surpassed Steve Davis’ record for most games played in the event. White hasn’t reached the Crucible since 2006 and he will have to negotiate a tough test against four-time ranking event winner Carter on Monday, if he intends to end that run this week. However, White will head into that match with the knowledge that he came out on top 6-2 in the pair’s most recent meeting at the 2017 UK Championship. “There is a lot of pressure out there, I sort of won the match in the first session when I went 6-3 up,” said ten-time ranking event winner White. “As soon as the draw came out I fancied that I would be playing against Ali in the second round. I know what I’ve got to do. 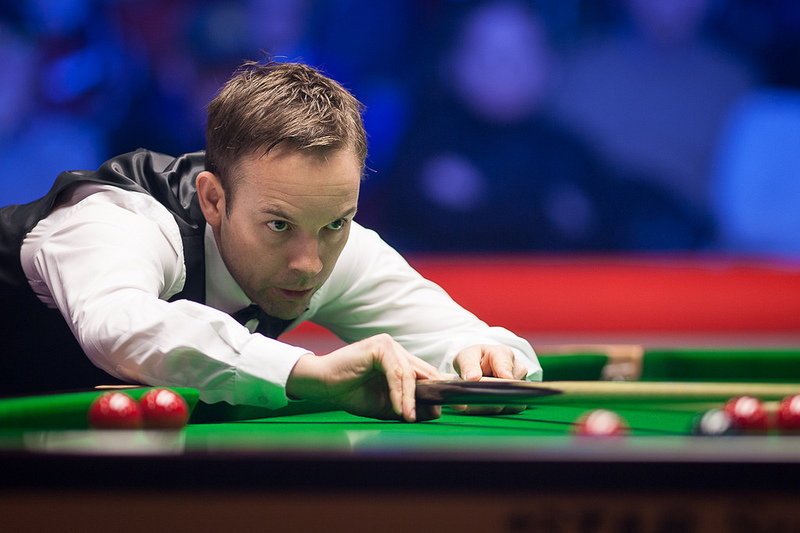 The scale of White’s task can be highlighted by the fact that two-time world finalist Carter has qualified for the Crucible every year since 2003. The Captain produced a dominant display as he got his bid underway for a 17th consecutive appearance in the final stages, defeating Paul Davison 10-1. Carter compiled century breaks of 120, 127 and 102 on his way to the victory. Afterwards he admitted he is proud of his record of qualifying for the Crucible and said he is relishing his clash with White up next. “Arguably there is more pressure here than at the Crucible itself. I feel like I should be there by right, but I’m not because I haven’t achieved the results I should have,” said Carter. “To have been to the Crucible as many consecutive years as I have, considering all of my health problems, is a good record. I want to keep that going. All I know is that if I get through, nobody will want to draw me. Mark King kept his hopes of a first Crucible appearance since 2013 alive with a 10-4 win over Brazil’s Igor Figueiredo. The 2017 Northern Ireland Open champion has endured some near misses recently in this event, having lost in the final round of qualifying in four of the last five seasons. 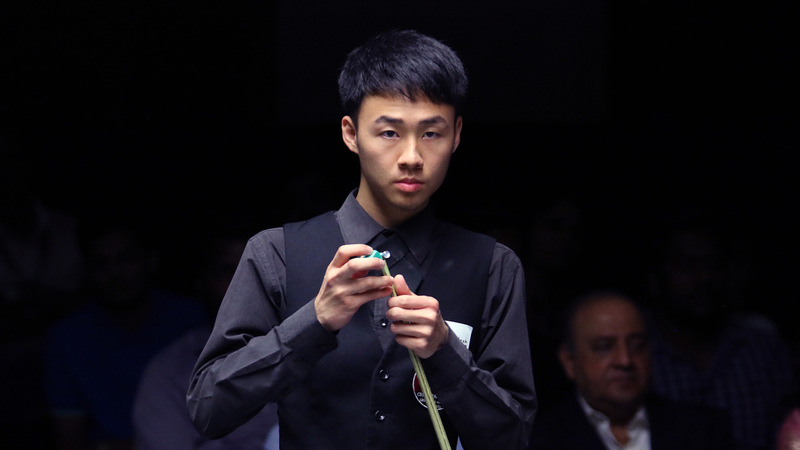 Xu Si conjured a remarkable display of break building power to sweep aside Sean O’Sullivan 10-2. 21-year-old Xu fired in ten consecutive breaks over 50 to storm to victory. That streak was made up with runs of 75, 78, 99, 77, 116, 92, 56, 80, 76 and 86. It’s a result that boosts Xu’s chances in the tour survival, but sees O’Sullivan relegated from the circuit. Xu’s opponent in round two will be 2006 World Champion Graeme Dott, who also put on a dominant showing to beat Pakistan’s Hamza Akbar 10-2. The Pocket Dynamo top scored with a break of 140. 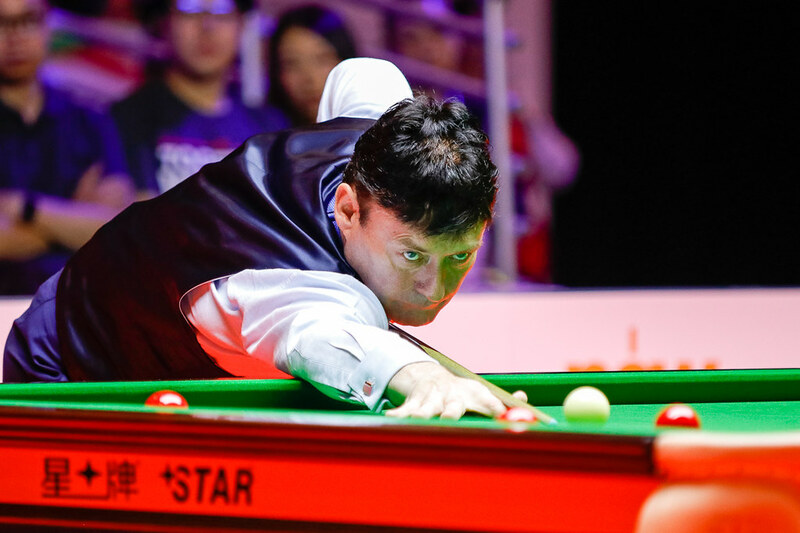 Ireland’s 1997 World Champion Ken Doherty dramatically kept himself in the Crucible race, coming through a late night thriller against Hong Kong’s Andy Lee 10-8. With Doherty leading 9-8, the 18th frame came down to a re-spotted black. It was the Darling of Dublin who deposited it to move two games away from qualification. Ryan Day produced a three-frame burst at the crucial moment to pull clear of Oliver Lines and win 10-6. The Welshman held a 7-6 lead when he compiled consecutive runs of 82, 76 and 62 to seal the win.